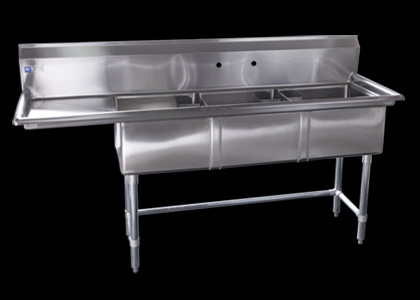 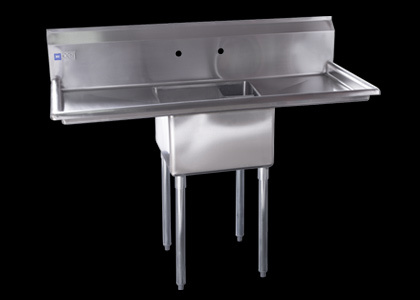 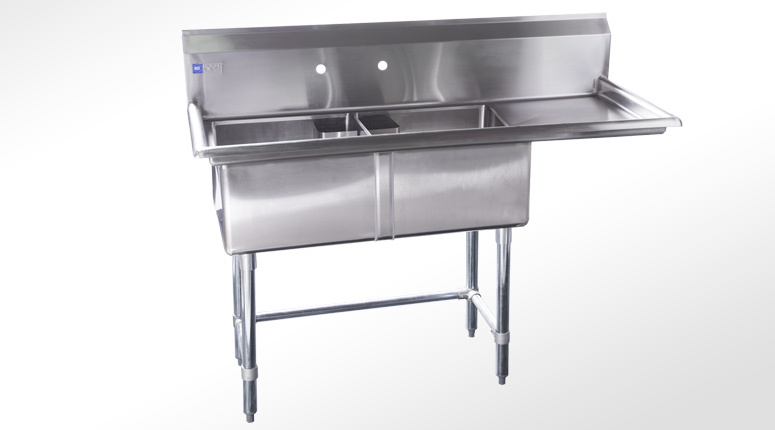 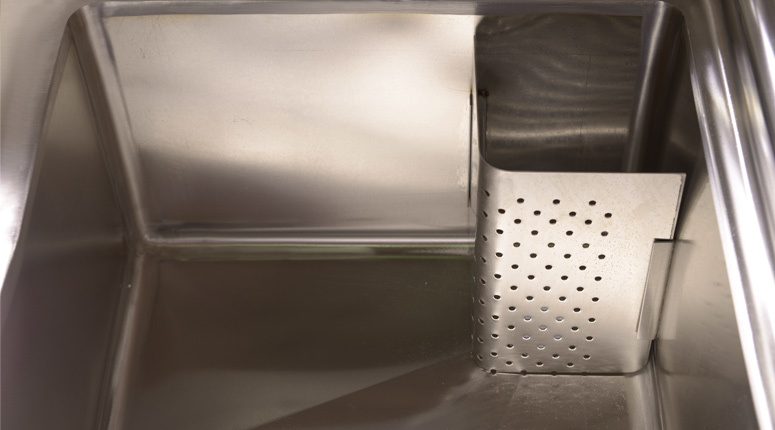 This NSF 1 compartment sink is made of high grade 304 #4 16G stainless steel. 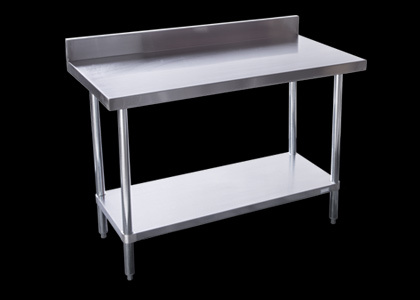 The legs are made of galvanized steel and come with adjustable bullet feet. 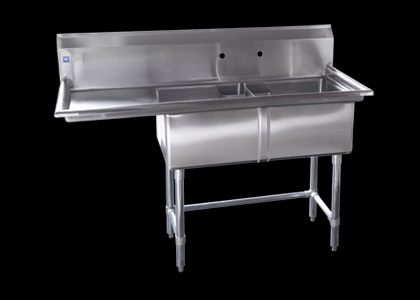 It is built tough and resistant for commercial use (restaurants, supermarkets and commercial institutions). 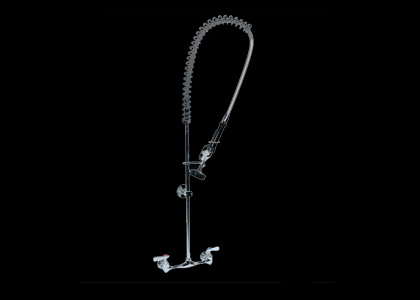 It will not leak. 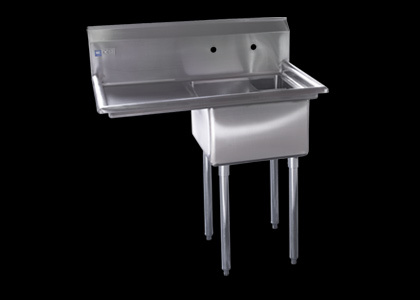 It is also perfect for domestic use in a garage, laundry room or pool house. 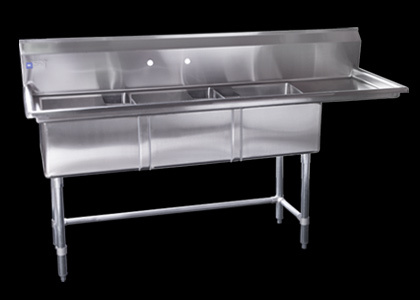 If you are purchasing from the US, visit our US Website. 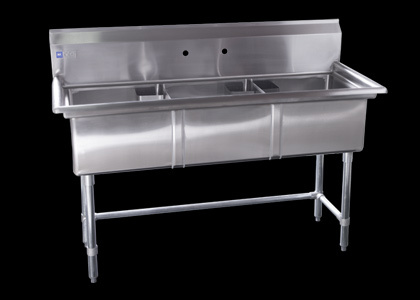 This NSF 1 compartment sink is made of high grade 304 #4 16G stainless steel. 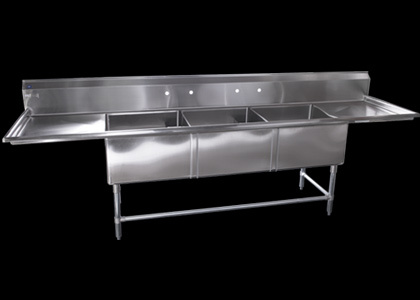 The legs are made of galvanized steel and come with adjustable bullet feet. 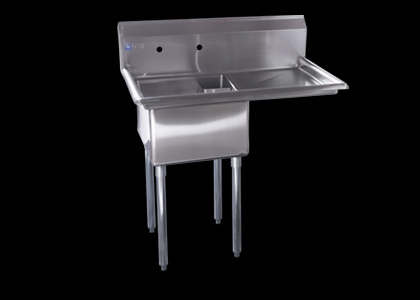 It is built tough and resistant for commercial use (restaurants, supermarkets and commercial institutions). 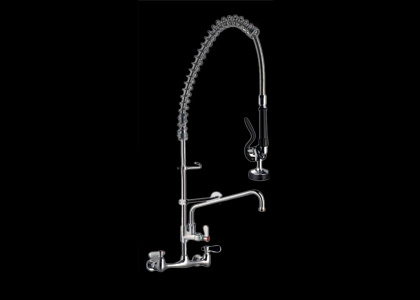 It will not leak. 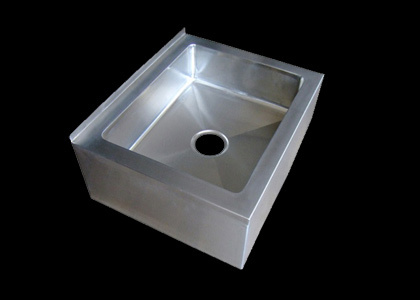 It is also perfect for domestic use in a garage, laundry room or pool house. 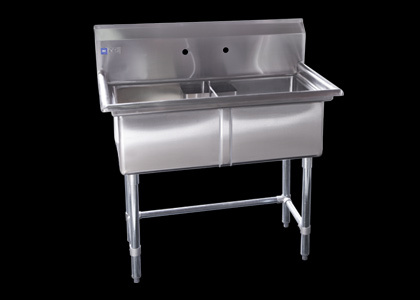 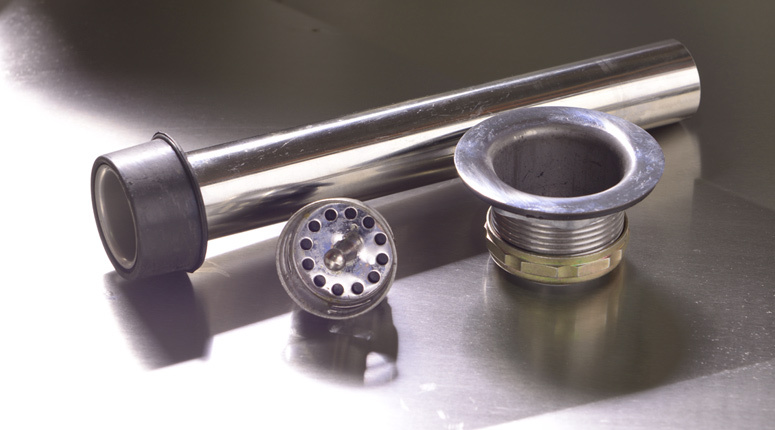 Although the 2 Bowl Utility Sink arrives pre-welded, it requires some simple assembly. 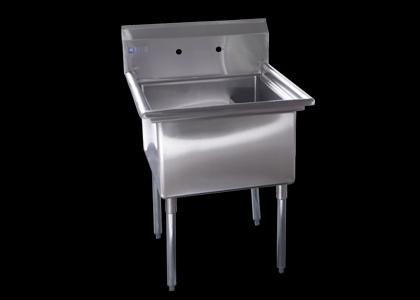 You will need to attach the legs, the hardware, and install the drain baskets (included). 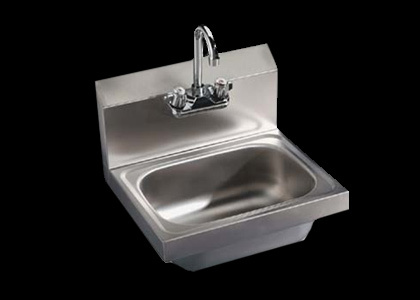 Please note: This sink is constructed with standard faucet holes (1.125 inch diameter, eight inches apart), but does not include a faucet. 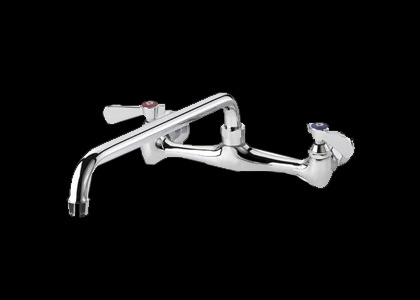 You can easily customize your sink by purchasing a separate faucet fixture. 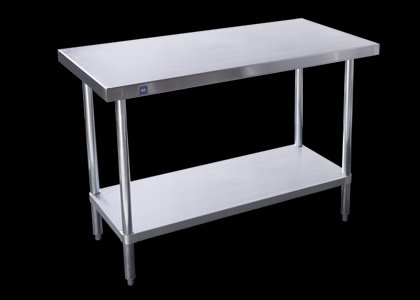 This item is usually stock, normal ship time is 1 business days, plus transit time. 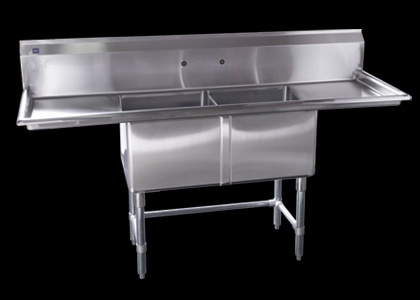 This sink is 36 inches tall with 11 inch bowl depth for 18” x 18” model and 14 inch bowl depth for the 24” x 24” model.